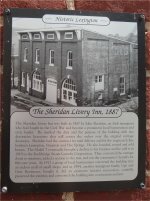 We found the Sheridan Livery Inn while looking for a place to have lunch while visiting Historic Lexington, VA. It was a wonderful place to have lunch and we even got a tour of the inn from the manager after lunch. The building that's currently home to the inn and restaurant was built in 1887 by John Sheridan as a carriage and stable service. By the early 1900's, automobile's were becoming more popular than carriages, so business gradually declined to the point that John Sheridan sold the building. 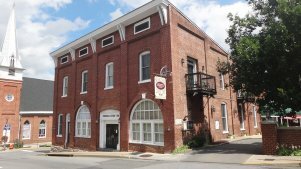 It was home to several businesses in the following years, including the Rockbridge Steam Laundry and the Old Main Street Indoor Mall. 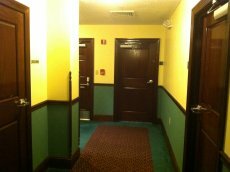 In 1997, the current owners opened the building back up as the Sheridan Livery Inn. We really enjoyed the tour of the inn, which has been restored to a period look. It's well worth the time for lunch while you're in the area, and you might even want to stay the night.